Rodrigo ‘Comprido’ Medeiros is a historical Brazilian Jiu Jitsu black belt under Romero Cavalcanti. 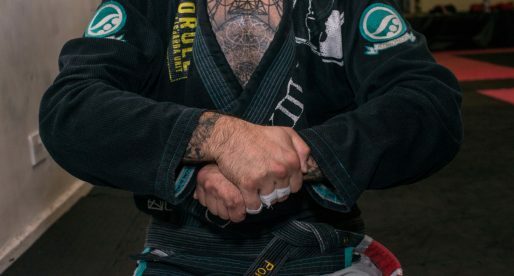 This two time world champion in the open weight division was has a force to be reckoned with for over 10 years, even in the condition of semi-retired he managed to hold his own against some of the elite grapplers of the new generations. 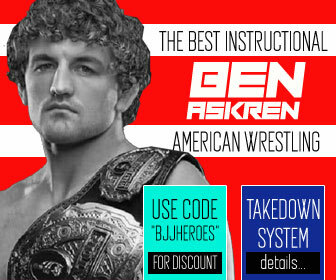 Later, as a coach in the USA, Comprido excelled as well training highly successful MMA fighters such as Dean Lister, Mike Russow and Brock Lesnar. Note: If you are looking for Rodrigo Medeiros from Revolution Team, click here. Nickname: Comprido, which means long or Lanky in Portuguese. The name was given to him for his physique when he started training. Weight Division: Over the years “Comprido” has bounced between Meio Pesado, Pesado, Super-Pesado and Pesadissimo. Rodrigo Medeiros was born on October 1st 1977 in Rio de Janeiro, Brazil. 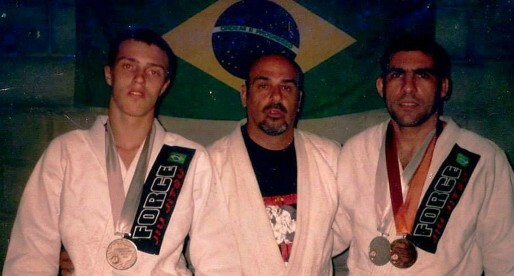 Rodrigo grew up in the same area as Leonardo and Ricardo Vieira (two other grappling legends) who had been doing Jiu Jitsu since they were infants, one day with the help of Rodrigo’s cousin Maurício the trio got Rodrigo to come with them and train at Romero Cavalcanti’s academy, “Comprido” was 16 years old at the time (1992). Comprido’s rise to black belt was fairly quick, he received it after winning the World Championships as a brown belt in 1998. 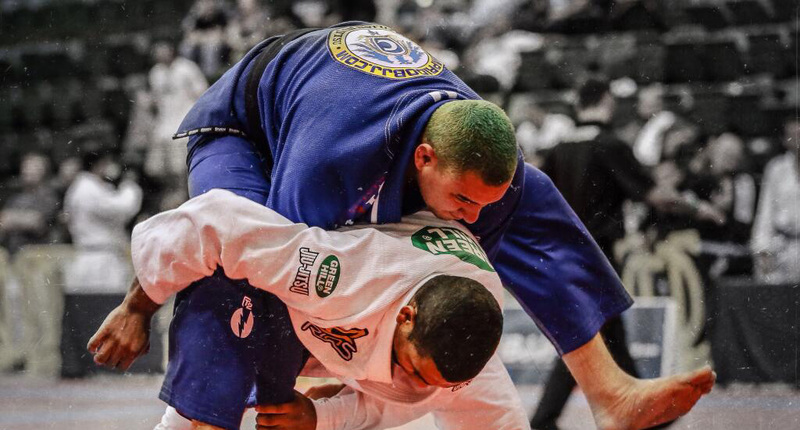 Rodrigo went on to make history on the following year reaching the final of the Absolute World Championships Division, defeating the favourite “Roleta” with a toe hold. 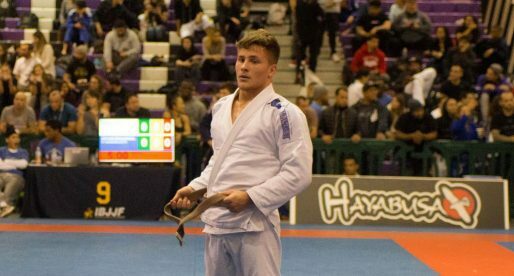 This was the first time an open weight World final was won by submission and it demonstrated the amazing sporting period “Comprido” was going through at the time, confirmed later that year with his wins at the Pan American BJJ games and the “Brasileiro” (Brazilian National BJJ Tournament). Comprido repeated the World Absolute Gold Medal on the following year adding also a bronze medal on his weight class and another bronze medal at the “Brasileiro” Absolute Division. 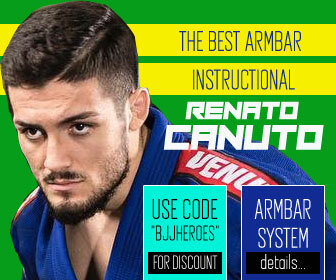 In 2001 Romero Cavalcanti left his academy in Rio de Janeiro to set up a head quarters in America leaving Rodrigo and Ricardo Vieira at the helm of the gym. This new alliance seemed forged in heaven as the team became like a family, both head instructors (Medeiros and Vieira) were very close friends (even their wives were best friends!) but the divergences started in 2002 when the team once led by Cavalcanti went on a collision course with the Sao Paulo coach, and now first in command, Fabio Gurgel. 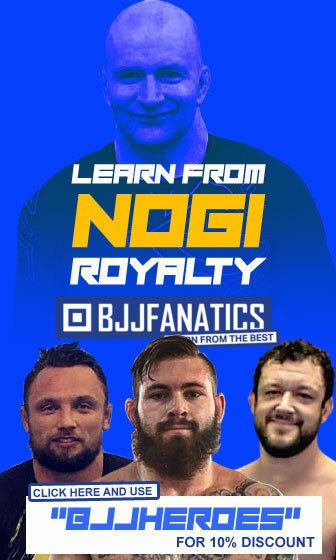 Part of the team (Rodrigo and Ricardo included) wanted to fight on the new World Cup competition, formed by a new federation (CBJJO) who awarded it’s winners with a prize money. Gurgel did not fancy the organizers of this new CBJJO and found no prestige in competing in it. The diverging “coalition” did not agree and believed that professionalizing the sport with a prize money was the way forward. Showing support to the World Cup they decided to go ahead and compete (a competition that Comprido won) but as a result they were expelled from the Alliance academy going on to form another academy called “Master Team” who would also fall to give birth to Brasa. With the Brasa team, the academy in Copacabana continued to prosper, “Comprido” then launched a new project, a Jiu Jitsu Camp for foreigners. The chosen location was Armacao the Buzios in Brazil. The skill and knowledge of Medeiros combined with the truly amazing location of Buzios, wrote a recipe for immediate success. With this new found interaction with the foreign students came the interest of bringing “Comprido” to the United States to teach there. This interest became stronger, and as Medeiros had an ugly argument with Ricardo Vieira, the two split and Medeiros decided to move to the northern hemisphere. He cemented an academy in Chicago with great success, he also started getting involved with the personal training of MMA fighter Mike Russow who opened the gates of Mixed Martial Arts to Rodrigo. Soon Rodrigo started training many big names in MMA reaching the biggest name of them all, UFC Heavyweight Champion Brock Lesnar. In 2006 Rodrigo Comprido and Roger Gracie were the faces of a movement set to stop bad refereeing in Jiu Jitsu. The pair collected thousands of signatures from competitors and coaches to institute the three referee rule on CBJJ championships and were successful. Rodrigo’s success in the United States as a coach has been rising exponentially both in Sport BJJ and in MMA. The sky is the limit for this BJJ fighter who has also never lost the competitive edge, competing consistently since the 1990’s until 2009. Lately his dedication has been with coaching, but don’t be surprised if you see him in the next Mundial. Lets not forget that he is a owner of a gym in Palatine, IL. He has been at the location for the last 3 yrs and trains many Pro mma fighters at this location. 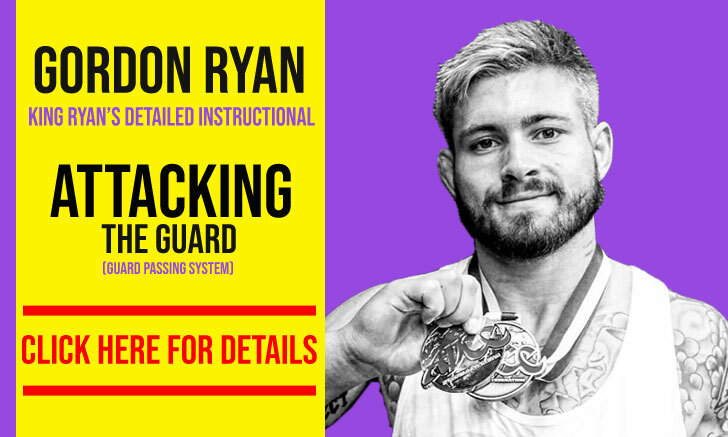 If you would like to meet him or train under him thats the place to go. And we didn't surprised when we see him at Europeans.. He took silver medal at Europeans..
he took gold at the Europeans…. another legend…thank God that blessed me to meet him and be my Mestre! !Brasa for life..